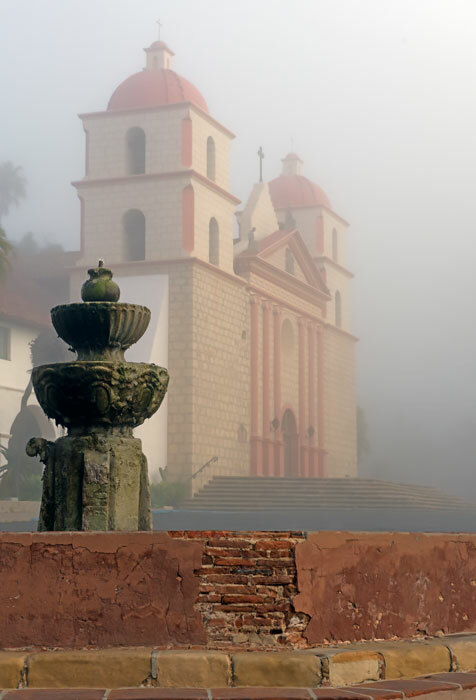 The first permanent European residents in Santa Barbara were Spanish missionaries and soldiers who arrived in 1782 to build the Royal Spanish Presidio. Many Spaniards brought their families and built a cluster of adobe houses around the Presidio. The Santa Barbara Mission was established in 1786. Today, Santa Barbara is a grand Spanish Colonial city that appears to have grown naturally from its founding. This is not the case. At the end of the 19th century, Santa Barbara was a typical American Victorian town, with little distinction. Prior to 1920, most buildings in Santa Barbara County were Victorian or Gothic, a style transplanted by easterners. Developers threatened what remained of the original adobe buildings. In 1922, the Community Arts Association was established with the mission of transforming downtown Victorian façades into Spanish façades. Many property owners resisted, and progress was slow. On June 29, 1925, a 6.3 Richter-scale earthquake struck the city, killing twelve. Almost every building in the downtown commercial core was destroyed or badly damaged. Civic leaders realized that this was the opportunity to rebuild and establish the signature Spanish Colonial style.